We were nominated for this award by the wonderful Kellie at Book Delights! I love the format of her reviews, and she always has excellent quotations (go and look at her review of The Heir, oh my goodness, it’s perfect.) Thank you so much for the nomination, Kellie! Now, on to the questions! 1. Answer a set of ten questions from the person who nominated you. 2. Nominate ten other bloggers and give them a set of ten questions. Which genre of books do you read from the most and why? Maddie: Looking at my Goodreads page, I seem to have read a lot of contemporaries, but that’s just because I’m a sucker for romance. But, my favourite type of books are fairy-tale related in some way! Bee: I read a lot of contemporaries too, and although I love fantasy-historical-magical adventures, I seem to give out high star-ratings more easily for contemporaries. Do you like “happily ever afters” in books? Maddie: Seeing as I adore fairy-tales, they’re pretty hard to avoid! I’m a huge fan of when things all work out in the end, as long as my ships are sailing, I’m happy. Bee: I don’t mind unhappy endings so long as they’re not ambiguous! If you had a $50 USD book shop coupon, what books would you buy? Maddie: I’d probably re-buy my favourite books in hardcover since they’re so much more expensive…or I’d chuck all my money at Alice Oseman’s next book, Radio Silence, buying five copies to share what I think will be the best book of 2016! Bee: I’d buy a bunch of the books I’ve read from the library this year and loved, so I could have them in my own collection. For example, the Cahill Witch Chronicles! I’d also pre-order, like, ALL the things! Which book character (that is an animal) is your favourite? Maddie: I don’t often come across animal characters in books, but I did like Rainbow the hippocampus in Percy Jackson and the Sea of Monsters. What are your thoughts on the tenth book that sits on your book shelf? Maddie: My top shelf is full to the brim with Rick Riordan books. The tenth would be The Last Olympian, and gosh, was that amazing. Would you rather read a book in a language you don’t understand, or a book you absolutely detest? Maddie: I’m pretty good at reading books I don’t enjoy, so probably that one. I don’t purposefully torture myself, but how do you know you hate a book until you read it? Bee: Can I buy a translated copy too? If so, that one! What song best pairs up with the book you are currently reading? Maddie: I’m currently re-reading Cress by Marissa Meyer and seeing as I don’t listen to a lot of music, my options are limited to mostly Taylor Swift. But, I’m going to go with the obvious and say the Tangled soundtrack, to really get those Rapunzel vibes going! Bee: I’m currently reading Soundless by Richelle Mead, so it would be too ironic to make a playlist for it! Do you like it when the main character of a book has a love interest who is obviously endgame? Maddie: Sometimes I think it’s a bit pointless if the love story is obvious. I like a little tension or push and shove between the characters, because insta-love is normally boring and reads extremely fake. But, if the characters are meant for each other, like Cinder and Kai, I have no problem whatsoever, as long as my little babies are happy. Bee: Now, there’s ‘obviously The One’ and insta-love, as long as those two things are separate, then I’m okay with it! I think it’s pretty obvious in most YA if there’s one main guy and one main girl that they’ll get together by the end, but it’s the journey they take to get there that interests me most. Which book character would you like to go to Disneyland Resorts with? Maddie: America from The Selection. I think it would be super fun to compare her princess life with the Disney ladies! Bee: Chelsea from Wings because we’d have a whale of a time in the Disney Fairies section! Which book character is your favourite anti-hero? Maddie: Ooh, I don’t normally go for the bad guy. As much as I see the appeal of Draco Malfoy, I’ve always been more of a Neville Longbottom girl, myself. Bee: Sebastian from TMI.Our Questions! 1. What is your most anticipated book of 2016? 2. If you could swap lives with any book character, who would it be? 3. What’s your opinion of the 12th book on your shelf? 4. What book would you recommend to a new reader? 5. Do you have a favourite genre of book? 6. What was your least favourite book of the year and why? 7. Which book do you wish was turned into a movie/TV show? 8. What’s your favourite thing about blogging? 9. Which author(s) do you really want to meet? 10. Do you have any bookish goals you want to complete in 2016? 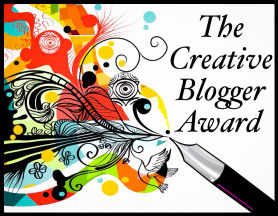 Thank you so much to Bellsiebooks for the nomination for the Creative Blogger Award! We’ve done quite a few of these now, so decided instead of random facts about us we’d do some twin-related facts about us. Nominate a whole bunch of blogs and notify all nominees via their social media/blogs. 1. There are 14-17 minutes between us! And for 17 years our parents never told us who was older, which is totally cool because we weren’t interested. We only found out because our times of birth were written at the bottom of an old baby photo. Hidden in plain sight all that time! 2. When people ask who’s older we give them different answers every time. Gotta keep that mystery alive! 3. We think that Fangirl by Rainbow Rowell has so far been the most accurate representation of what it’s like having a twin sister ❤ Other twin fiction that we would recommend: One by Sarah Crossan and I’ll Give You The Sun by Jandy Nelson. Oo, oo, and watch Gravity Falls! Best buds. 5. We have never, not once, switched places to fool people. I have absolutely no idea why people always seem to think this. And, we regret to announce, we don’t have physic powers. I know, shame, right? Liebster Award 2 & 3! We were nominated for another two Leibster Awards, by Danissa the Reader, and WrittenWordWorlds – thank you so much girls for the nominations! We’ve already made a post about the Leibster Award but here are the questions we were asked to answer! What was the last YA contemporary you read? What book have you most recently stopped reading before you made it to the end and not bothered to pick it back up again? Maddie: Normally, Bee and I always finish the books we’re reading, even if we don’t think they’re too great, because it makes for an interesting review! Which book do you connect with the most? Bee & Maddie: Fangirl by Rainbow Rowell. It’s about twins, who enjoy fandoms and creative writing, so we’re very similar to Cath! What book or series do you want to become a movie the most? Bee: Shadow and Bone by Leigh Bardugo – the setting would be absolutely beautiful! Maddie: Cinder by Marissa Meyer – I think it would make a great TV show, with all the different perspectives in the later books, like a sci-fi Once Upon A Time! What is the book or series that you’ve read the most times? What is the book you’ve cried the most over? Bee: So many. Perhaps it deserves its own post? I’ll go with Destined, the last in the Wings series. Do you have any books signed by the author and if so, what books are they? Bee & Maddie: We got to meet Maria V Snyder in March, so we have the Poison Study series signed, and we’re going to a Sarah J Maas signing this month, so hopefully, Throne of Glass too! Have you ever met any authors? In your opinion, what is the most underrated or under-appreciated book or series? Bee: Clearwater Crossing by Laura Peyton Roberts, which meant so much to the both of us when we read it over the course of 2013, but I barely ever hear anything about the Finishing School series by Gail Carriger, which is blurbed by Marie Lu, so has to be good! Maddie: The Kane Chronicles by Rick Riordan. Everyone overlooks the Egyptians. Just because Carter isn’t Percy, doesn’t mean the books aren’t worth reading! What’s your thoughts on slightly damaged/visibly read books? Do you like your books to be in pristine condition or do you think books with dog-eared corners or bended spines feel more loved? Bee & Maddie: We used to be really picky about the condition of our books, but since we started buying books from charity shops or ‘new and used’ books, we don’t care so much anymore! It’s a great way to save money, and it’s the content that matters, not the condition! What is the book you’ve been wanting to read for the longest amount of time but haven’t gotten around to reading yet? Bee: Angelfall by Susan Ee. It was one of the first books I bought on my Kindle in 2012, and still haven’t read. And, since the third book is coming out soon, I really need to get on top of this series. Maddie: Panic by Lauren Oliver. I love the Delirium series, and bought ‘Panic’ soon after I finished the trilogy, but so far, it’s just gathering pixellated dust on my Kindle. What book brought you in to the world of reading? Bee & Maddie: We did a blog post on our YA Origin Story! If you could merge two books with different authors together, which would it be and why? Bee & Maddie: Check out our Book Combo Tag over on our BookTube channel! What is the song that you usually listen to while reading a book? Bee & Maddie: We don’t really listen to music while we read, but sometimes we’ll have our Kindles read to us, and we’ll knit. Who is/are your favorite author/s and why? Bee: Morgan Matson – many, many reasons. It’s mostly due to the perfection of her character development, and the romances being so realistically constructed. Maddie: Rick Riordan, because Percy Jackson, and Marissa Meyer, because fairy tale retellings. Which book character made a huge life changing impact on you? Bee & Maddie: Any geeky girl who embraces her intelligence! We did a video on our Top 5 Geek Girls of YA too! If you’re gonna write a story, which genre would it be? Bee: Something with fairies/ a love-hate relationship/ five teens finding something. Maddie: Something with spies/ a boarding school/ magical powers. What food/beverage do you usually have while reading? Bee: Ummmm….water is my poison, and some sort of chocolatey thing. At the moment it’s left over Easter goodies. What do you do when you’re not reading or blogging? Bee & Maddie: Our lives are voids without those things. But, we did do a post on it. What or who inspired you to start a book blog? Bee & Maddie: Ourselves! We started with our YouTube channel, and wanted a place where we could write more in-depth reviews! If you could tell you favorite book character something, what would it be? Maddie: At least I like you, to Lena from Delirium. 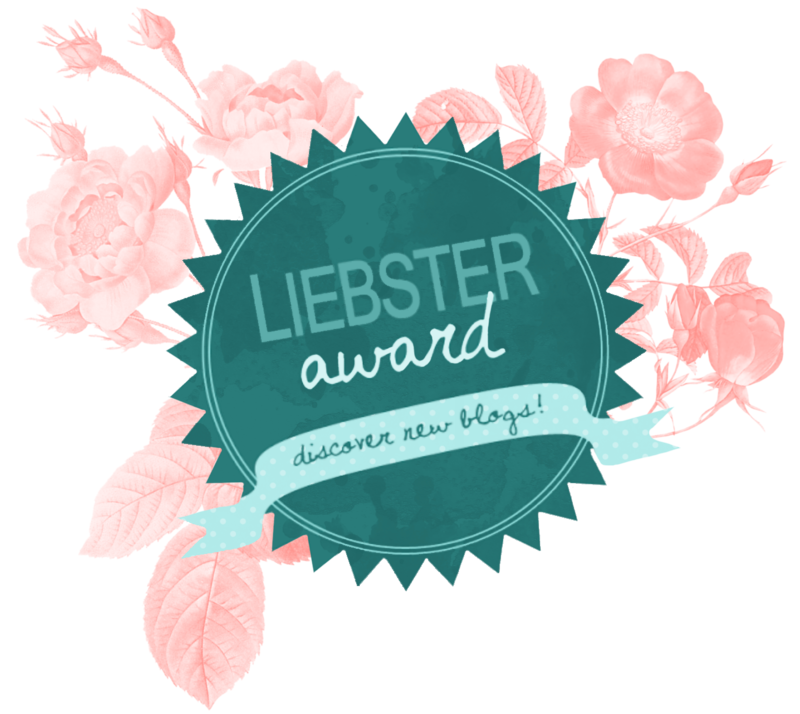 We were nominated for the Liebster Award by the lovely Jet Weasley at The Book Detective! Thank for so much for the nomination, this is such a great award and things like this are a great way to discover new bloggers! Nominate a number of bloggers to receive this award. 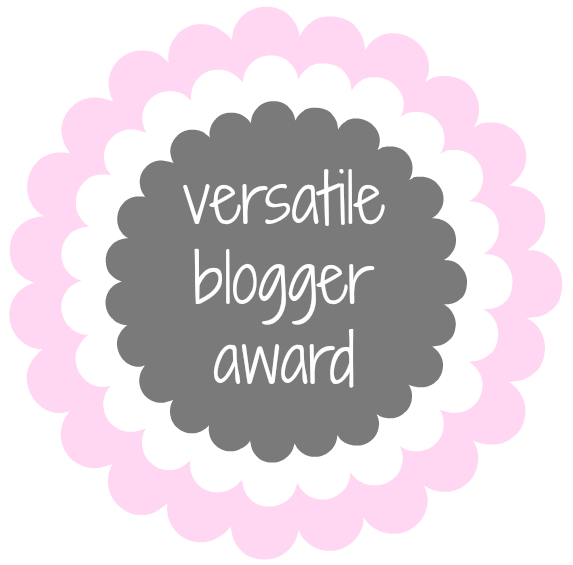 We’ve already given facts about ourselves when we were nominated for the Versatile Blogger Award, so check that out if you’re interested! Here are the answers to Jet’s questions! Maddie: A chicken. They have advanced planning skills. Bee: Apollo, God of the Sun, Healing, Music, etc. We just have a lot of love for books! 4. Is there a book that you really didn’t like? 5. If you could have any fictional creature as a pet, what would you choose? 6. Which fictional character would you like as a best friend? 7. What fictional universe would you choose to live in? 8. What are your other hobbies besides reading? 9. Have you set yourself any reading challenges this year? If so, what are they? 10. What book to you wish more people would read? 11. Which author, alive or deceased, would you like to have dinner with?